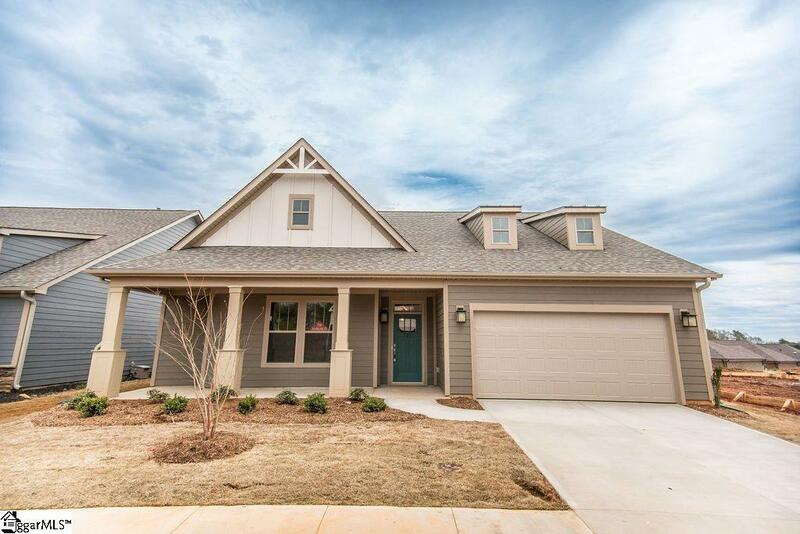 True craftsman style architecture with exceptional finishes in the amazing Exterior Maintenance Free Community of The Villas at West Georgia in Simpsonville. Featuring luxurious first floor living, 103 Ravencrest Court is the epitome of ranch living with all the touches. Simply no detail overlooked. 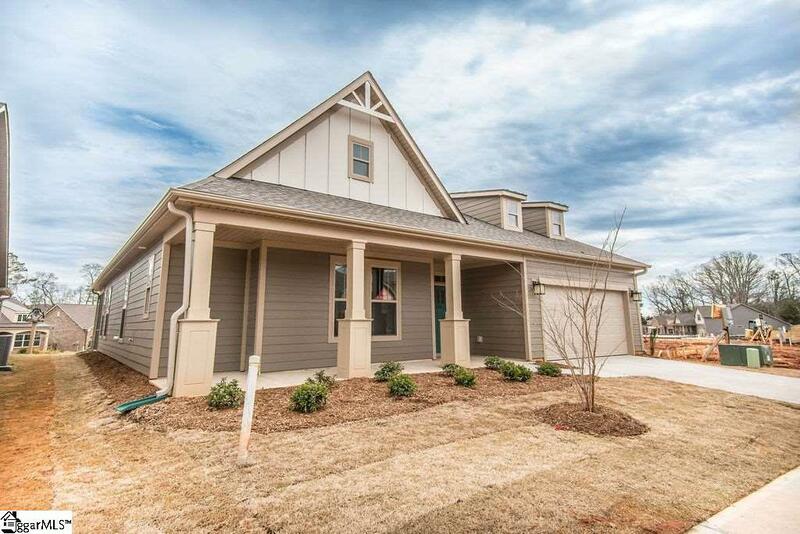 Elevation 10 boasts James Hardie Colorplus Siding with a farmhouse style including a large front porch overlooking the maintained landscape. Upon entry you'll be delighted by the grand foyer leading in to this open concept home with huge vaulted ceilings. The family room displays a gas fireplace centered in the middle of this spacious floor plan making a cozy statement. The gourmet kitchen with HUGE center island hosts extra seating space in the middle of a chef's dream complete with stainless Whirlpool Gold Appliances and double ovens; all this connects to a charming breakfast room with patio door leading to a screened porch as an extension of living space. Two secondary bedrooms share a full bath while a big powder room offers privacy for guests. A spacious laundry room is off the mud hall from the 2 car garage. The Owner's Suite includes a tray ceiling and is attached to a big master bath with double vanities, tiled shower with seat, private toilet room all connecting to a massive walk-in closet. 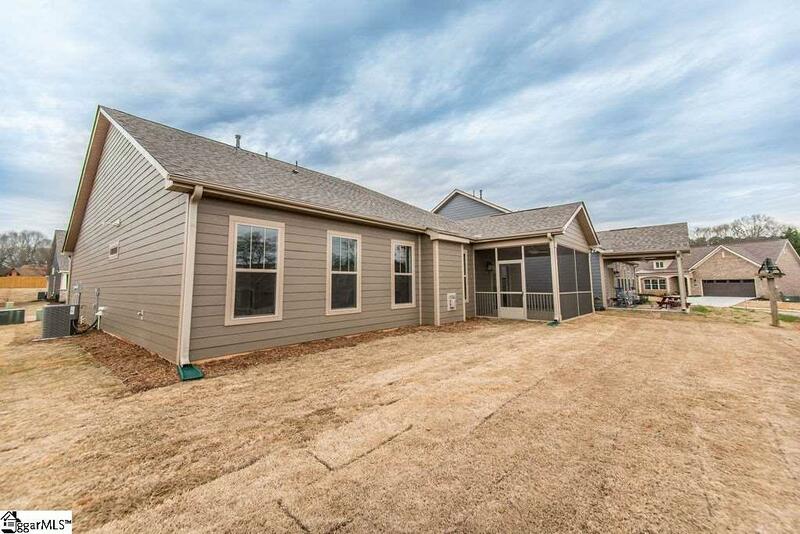 All living areas are complete with upgraded hardwood flooring while the 2 full baths are tiled. Don't miss this unique opportunity to live in a boutique community with a robust maintenance package and the convenience of nearby shopping, dining, & entertainment options in the Fairview Road commerce corridor. 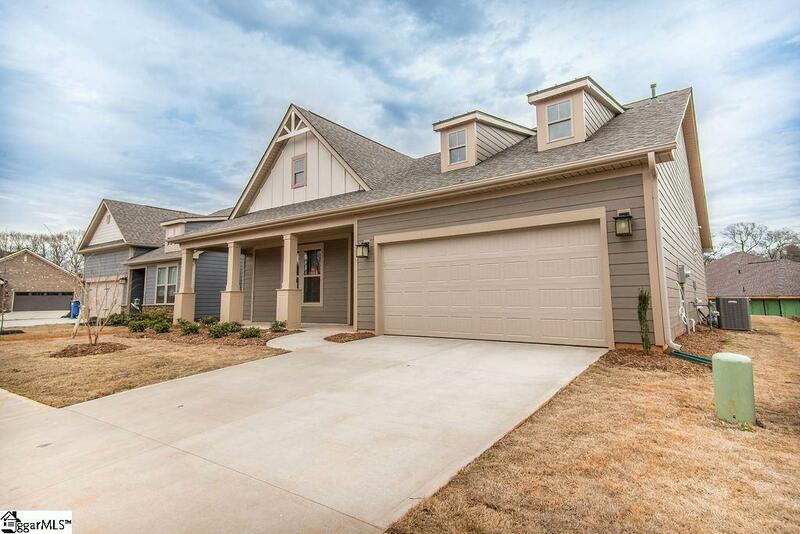 Quick I-385 access and a short 20 minute drive to downtown Greenville! This home is READY NOW!